Remember yesterday when I said I had no interest in an email from the PR machine? It’s times like that, when it occurs to me to write those sentences, that I should remember that the universe is hilarious and thinks jokes on you are too. 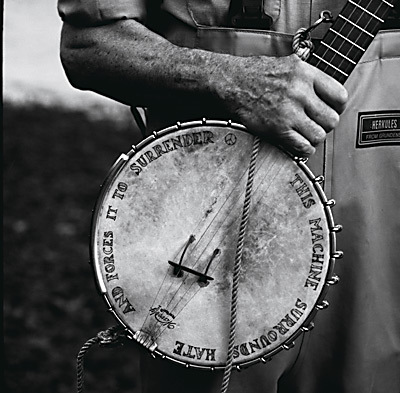 One Perrin Doniger proved that when he sent along an email about a stream, the first of it’s kind, of a concert Pete Seeger recorded at Bowdoin College in March of 1960. 8 reel-to-reel tapes. All recorded live. That sentence is bolded because sweet Jesus, it deserves to be. STREAM The Complete Bowdoin College Concert 1960.